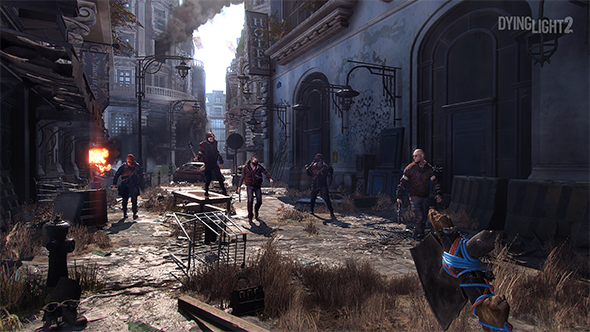 Like the original, Dying Light 2 will have four-player co-op but, because the sequel is so radically different from the original, it had to be changed so that one player hosts and the other three enter that player’s game. The big innovation of Dying Light 2 is that your actions have consequences that affect the city. If you help one faction then they will flourish and make their mark on the city, painting it in their colours, opening up parkour routes, and – depending on the faction – set up useful fronts like water points and crafting stations. But, while one faction flourishes, other factions may recede. This means that the city in your game may vary wildly from the city in your friend’s. It’s not all been worked out but with Dying Light 2’s release date set for next year, the team still has time to work out the kinks.